Today is election day for Americans. Canada held a federal election a few weeks ago, and through a mixture of general apathy and annoyance at it being the third election called in five years, a record low percentage of Canadians actually cast a ballot (only about half of eligible voters). I noticed when I was working the polls that only a handful of people under the age of 35 actually came in to vote. This observation is backed up by statistical data – below is the graph of voter turnout by age from the Canadian 2004 election. It seems to be that the younger generation either doesn’t feel as strongly about politics, or perhaps doesn’t feel that their one vote matters all that much. Considering that the majority of this younger age bracket tend to vote for liberal or left-wing groups, imagine the effect that they could actually have on the outcome of an election if they all participated. A mock election held in Canadian high schools indicated that only 38% of students voted Conservative (our only right-wing party), while 62% voted for one of the three left-wing parties (Liberal, NDP, or Green; the Quebec-only party, the Bloc Quebecois, was not included in calculating those percentages). Canada’s fractured left wing means that, with the current first-past-the-post election system, you end up with situations like the current Conservative minority government. The US, having really only two primary parties, don’t have that same problem, and a left-wing majority vote usually means the left-wing candidate wins. If we could just somehow convince that younger age bracket that their vote really does matter, and that it’s worth their time to go to the polls, I think we’d have a more accurate picture of how the country really feels. I made sure I went out and voted in our election, but I don’t feel that the outcome of that one was nearly as important as the results of today’s US election. With all the heft that the US carries, the winner of today’s election will not only choose the direction of the United States, but will also shape what happens to the rest of the world. Don’t forget to vote! It may be the most important thing you do all year. Big big day. Love the imagery. You are right, the whole world is watching. The wild card seems to be the electronic voting system. Guess I shoulda had more kids. Nice donkey. 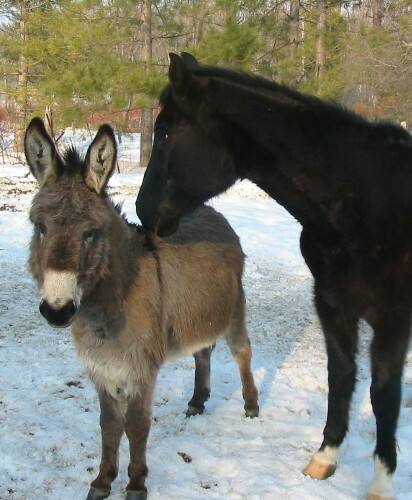 I just found out that the donkey as mascot for the Democratic party began in 1828, when Andrew Jackson’s opponents called him a jackass, and he decided to promote the sturdy, strong-minded animal as his symbol. I love the graph!!! Very excellent. This election has really changed the dynamics of the national political machine, it no longer seems to be a top down machine, but an overhaul in the bottom up direction. That’s largely a result of the influence of the internet and blogs. See, we are changing the national discourse … or in the case of your blog, the international dialog. Although totally contrary to my normal inclination, there’s one species of symbolic elephant I would not mind seeing go extinct.